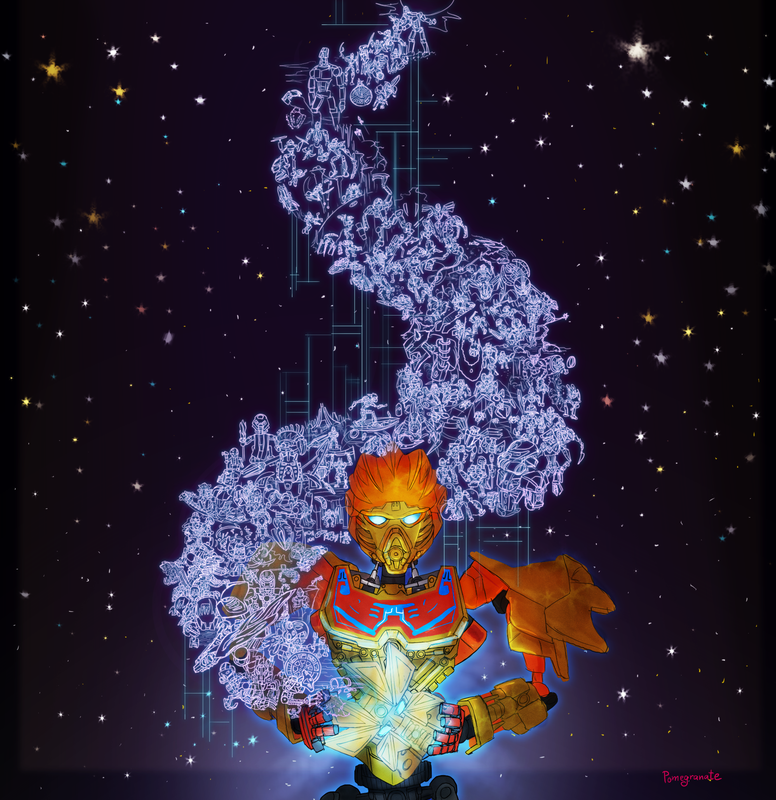 Vote for the piece you feel best fits the theme of The Legend Continues! This is it... it's the final round of votingg for The Legend Continues - Art Division! #3 gives me what I wanted most from this story and never got; some good ol' Kaita. And the Artist's art knocks it out of the park as always. There is some fantastic art in this poll. My vote is with #8. Gotta go with 5, since I just felt the concept was so well executed. I love all the detail going on in the tapestry. Great job to everyone. Entry 8 got my vote. Gonna have to go for #7. This is tough, but 3 represents both fantastic art, and something that I really wish was in G2, so it wins for me. Best of luck to all! For me, it was a very close decision between 2 and 5, but I ultimately went with #5 due to the incredible amount of detail put into it. 1 looks fantastic, 3 is something that really would've been nice to see, 5 is marvelously executed (even if I don't like the idea behind it), and 6 and 7 still cut rather striking images... but I still can't get over how amazing 8 is. Brothers Corrupted gets my vote. I find 3 to be the most technically well done piece out of all of these (love the style), however I think 5 is by far the best one here conceptually. I'd be lying if I said this isn't a hard decision, there are some exceptional works of art in this poll. Edited by Illustrious Var, Jun 18 2017 - 09:20 PM. Man, I love all of these; I really do. But I accidentally voted for one that wasn't #5, and I'm going to be kicking myself for it for a while now. 3 looks absolutely amazing. Something I surely would have loved to see in G2. But then again 5 brings back a lot of nostalgia from the good ol' days. Nevertheless, my vote goes to Demi's Wairuha Uniter of Storms. I knew I wasn't gonna make it to the finals, but it still hurts. This is really only a contest between 1, 3, 5, and 8. I guess I'll try to reason things out. I'll never vote for the more streamlined organic Bionicles, so Demi's straight out of the question. 5 is beautiful and I love the concept, but the actual execution just does not match up to the skillful detail of 1 and 8. Here I am really torn. I think 8 shows the greatest artistic ability, but it's also incredibly derivative and generic. It's just a Witcher/LoTR-ified Ekimu and Mata Nui. 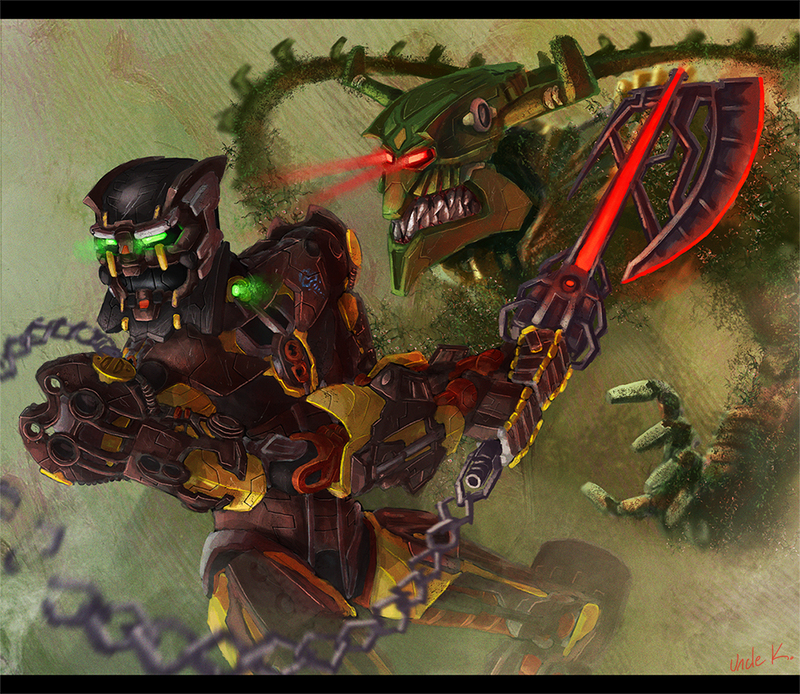 1 was much truer to the contest, in my opinion, showing the artist's lovely take on the Toa Inika and Piraka. I think it comes down to the following. I would vote for Number 1, but nobody in the comments has supported 1 - at the same time, in order to deny Number 3, it would make more sense to swing my vote to Number 8, as it already has a solid following. Actually, that feels petty, so I'm going to follow my heart. Number 1, baby. Side note: This has been by far the most productive and engaging contest BZP has put on to date. This was a REALLY hard decision, but had to go for 5 as it fits how I felt G2 was going to wrap up in the end. Edited by Iaredios the Hip Historian, Jun 19 2017 - 01:04 PM. Ended up with #7. So much great art here. Good luck to everyone! These are all so good... Definitely a tough decision, but my vote is cast. Well done, all! Edited by Kookie, Jun 20 2017 - 12:02 AM. Had to go with #3, but #5 was great as well. That would've been an extremely powerful scene, if we had been given it! 8 is amazing, with 7 being my second choice. The other entries simply lack in creativity or quality in my opinion. 1 is done nicely but it's just G1 sets with nothing new to them. I appreciate the effort and time put into 5 but the quality is not comparable to 8. Plus we've seen that! The theme was to make something we haven't. Personally, it was a tough choice between "Tapestry of Time" and "The Brothers Corrupted", but I ultimately went with the latter. 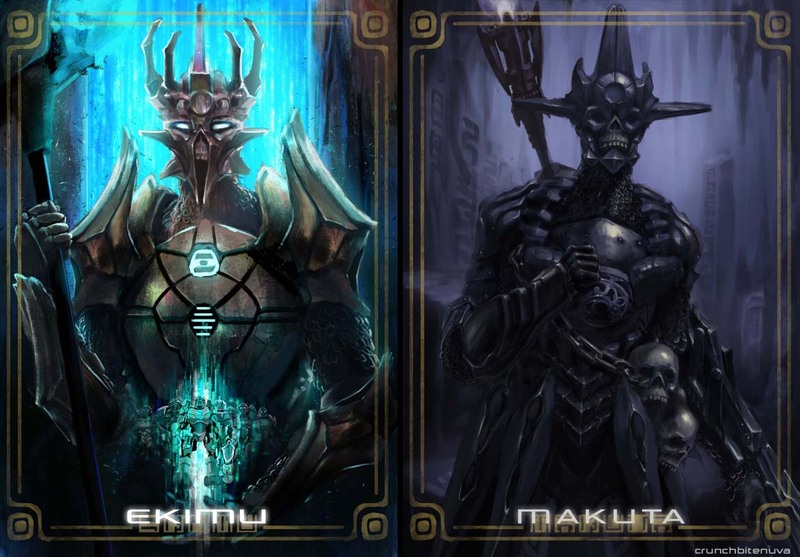 On the surface, it's a really simple concept... just fancy portraits of Ekimu and Makuta. And yet, the longer I look at it, the more I get a strong vibe of history, mythology, and culture... a sense of the crucial world-building elements that Gen 2 sorely needed. Perhaps it's because it looks like something out of The Lord of the Rings, which is known for its rich world-building of Middle Earth. I really appreciate all the detail that went into "Tapestry of Time". Seeing Gen 1 retold entirely through a series of images is wonderfully nostalgic. Even seeing the Muaka and Bahrag (two of my favorite Gen 1 sets) placed side-by-side hit home for me. In the end, I decided not to vote for it because I was looking for a Gen 2 entry that could stand on its own merit... rather than relying on Gen 1, which is an unfortunately common theme among entries in all three categories of this contest. For example, "An Axe to Grind" is simply fantastic... but, let's be honest with ourselves, it's just Gen 1 fanart that was submitted into a Gen 2 contest. Aside from Hewkii's lower arm loosely resembling the CCBS system (but this could just as easily be attributed to stylistic choices), there's nothing about this that says "what I wanted to see in Gen 2" to me. In the end, I decided not to vote for it because I was looking for a Gen 2 entry that could stand on its own merit... rather than relying on Gen 1, which is an unfortunately common theme among entries in all three categories of this contest. Since it's obvs my entry is not vying for top position I felt it was ok to respond in the voting topic. 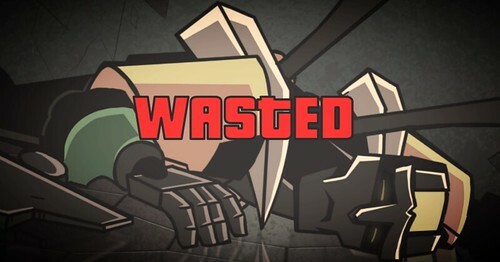 All of Hewkii's designs were reworked to be pieces that fit the G2 sets and concept art, including his weapon and red as a third color to break up the ccbs bones. I love the 2006 set and I would have legitimately loved a direct translation. The Inika were the closest thing to the G2 building system, and I tried to keep the style minimal and the cladding accurate to physical pieces. I tried to draw what I wanted to see in a non-static pose as closely as possible to my personal wishes, not what would have been realistic if Lego did it. All of the entries are fan-art in every capacity I think. 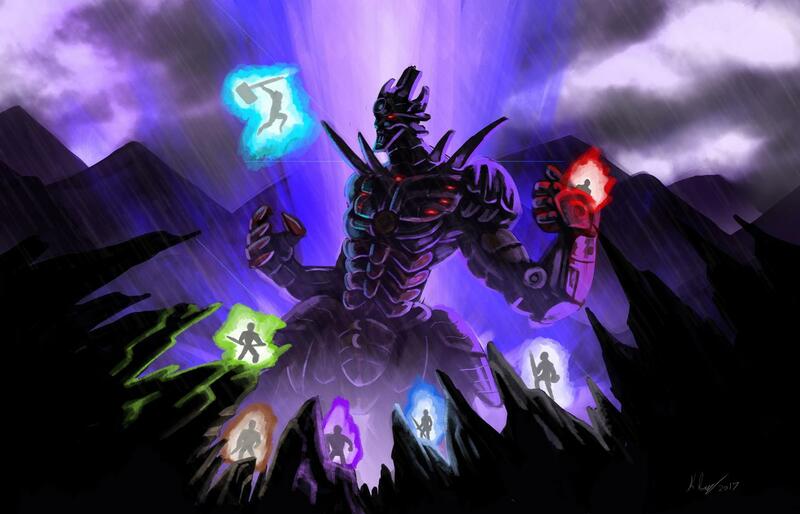 Even Crunchbite's amazing entry is LoTR/Witcher/Bionicle fan-art of existing characters turned evil. I hate 'defending' art but I do want to be clear it does adhere to the contest theme. Sorry for making you do something you hate. I did not mean to disparage your work; on the contrary, I did say that I thought it was fantastic. If the contest were a different theme (for example, putting a new spin on Gen 1 scenes and characters), I might've even voted for it instead. Technically, anything could adhere to the contest theme, so long it was something that the artist/builder/writer wanted to see in Gen 2. So, if someone wanted to see a scene in Gen 2 consisting entirely of Tiribomba saying his name over and over again, it would be fair game for this contest. With full seriousness, that is the impression that I got from "An Axe to Grind" - whoever submitted this to the contest must have really liked 2006 and wanted to see it faithfully recreated in Gen 2. Perhaps a little too faithfully, for my own personal tastes as a voter in this contest. I suppose I was just thinking of how "An Axe to Grind" compared to its fellow entry "Wairuha, Uniter of Storms". Wairuha is instantly recognizable as a Gen 1 character, but (even despite the artist's own artistic style) is also instantly recognizable as a Gen 2 reinterpretation of that character. In contrast, Hewkii and Zaktan adhere so closely to their Gen 1 counterparts that they are not instantly recognizable as Gen 2 reinterpretations and the key word is "instantly" - the first-glance impression is that it is Gen 1 artwork with some artistic license. The mask, the torso, the shoulder armor, the weapon... they all looked just like the Gen 1 set to me. 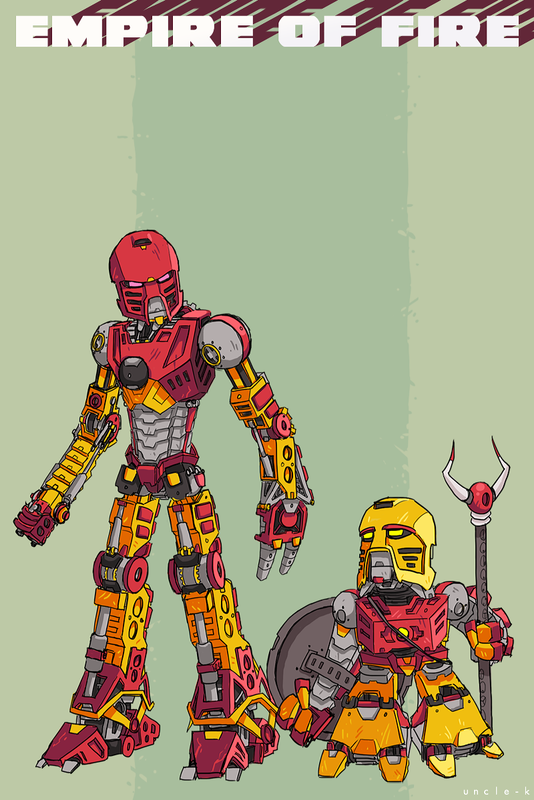 I even dismissed the prevalence of red in Hewkii's color scheme as stylistic choice; seeing color schemes that do not precisely match the original set is nothing new in BIONICLE fanart. Of course, as I said before, the CCBS influence can be seen upon closer inspection. You even pointed out that taking the trans-red color from his weapon and turning it into a tertiary color for his overall color scheme is reminiscent of the transparent colors in the Gen 2 sets, and I can definitely see that now. Unfortunately, the problem is that you had to point this out to me, and it's like having to explain a joke to someone who didn't get it. After all, I had no idea what the artist intended... I only knew what I saw before my own eyes as I looked at each entry. Again, I think "An Axe to Grind" is fantastic, and I commend you for your hard work and well thought-out approach. But, as a voter, it simply wasn't what I wanted to see in Gen 2. I was deciding between 3 and 5, and ultimately chose 3. I liked the artstyle and imagined form of a G3 Wairuha. The setlike aesthetic appeals to me, but the mix of blue, green and silver markings on the armor brings an added flair not available in CCBS. Also, I'm a fan of the piece's subject (see avatar), so I admit to a bit of bias. 5 was very well done, though, as a personal runner-up. Honorable mention to 8; I appreciated finding a number of subtle details (e.g. Makuta's staff and swirly-circular chest armor from his set appearance) that weren't immediately apparent on first glance. I voted for 4 because I like mine, and Hahli is my homegirl. I have never been more infuriated in choosing between two or more things, and I'm the guy who spent two full hours inside a Target store deciding between jeans that one time. I hope the one I voted for wins, though all of the entrants... all were amazing in their own regards. Edited by Cirkitree, Jun 20 2017 - 07:20 PM.